Kelly Overstreet Johnson - Mediator based in Tallahassee, Florida. Please click your preferred available date to submit a request. Your Appointment Form will be sent to Kelly's assistant, Leslie Terry. Kelly Overstreet Johnson is a Florida certified mediator and lawyer with an active litigation practice. She has practiced law in Tallahassee for more than 36 years, primarily as a commercial and employment litigation attorney, and mediated cases for over a decade, successfully resolving over a thousand cases. She is a Florida Supreme Court Certified Circuit-Civil Mediator and Certified AAA Arbitrator with proven experience in resolving a wide variety of civil and commercial disputes. Ms. Johnson is a highly sought-out mediator as she effectively communicates with parties, and brings her years of experience as a litigator and mediator to help the parties discuss the merits of their case. A large percentage of her mediations settle, as the parties have been actively engaged in the process and negotiated and agreed to a resolution on their terms. Lawyers frequently request her mediation counsel because of her litigation skills and background. She mediates a variety of employment, civil and commercial and real estate disputes. She is a Florida native and lifelong resident. She is the managing shareholder of Baker Donelson's Tallahassee office. 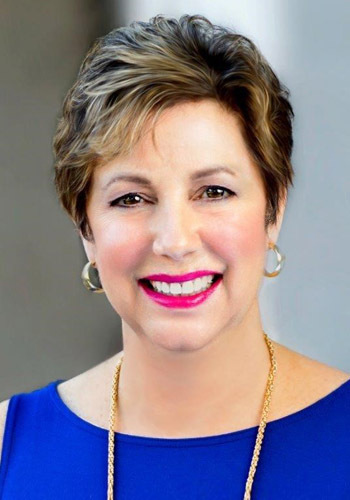 A former president of The Florida Bar, the Tallahassee Bar Association and Tallahassee Women Lawyers, she maintains professional connections statewide in the Florida legal community. She is AV® rated by Martindale-Hubbell. The AV® Peer Review rating serves as an objective indicator that a lawyer has demonstrated ethical standards and professional ability and is a reflection of an attorney’s skill, experience, integrity, and overall professional excellence. Kelly Overstreet Johnson was born May 3, 1958, in Tallahassee. She received a Bachelor of Science degree in Real Estate and Pre-Law from Florida State University in 1979 and a Juris Doctor degree, with honors, from Florida State University College of Law in 1982.